Oluwagbohunmi (Olu) Awosoga is an Applied Statistician with over 25 years of post-secondary teaching experience. Research interest includes: Wellness amongst Rural and Urban Childcare Providers, Caring for the Caregivers, Health and Safety in Workplace, and the application of Statistics in Health, Education, and Social Sciences. Participated as co-investigator in the previous study titled “Moral Distress in the Care of Persons with Alzheimer Disease in Residential Care Facilities” sponsored by the Alzheimer Society of Canada (PI: Dr. Spenceley). 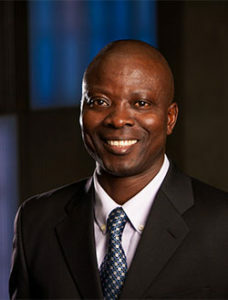 Dr. Awosoga joined the Faculty of Health Sciences at the University of Lethbridge in 2009. His contribution to the study will include but is not limited to: estimation of appropriate sample size, power and effect size required for the study, Questionnaire design process, Construction of Databases needed for the study, Address reliability of the survey instrument, suggest appropriate statistical methods for data analysis, and prepare the quantitative methodological aspect of the study final report and publications. As a hobby, Dr. Awosoga enjoy spending time with family and friends, statistical consulting, and researching the Scriptures.